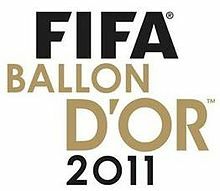 The 2011 FIFA Ballon d'Or Gala was the second year for FIFA's awards for the top football players and coaches of the year. 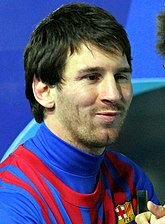 The awards were given out in Zürich on 9 January 2012, with Lionel Messi claiming the title of world player of the year for the third time in a row. The gala ceremony was hosted by former Ballon d'Or winner Ruud Gullit and broadcast journalist Kay Murray of Real Madrid TV and Fox Soccer Channel, with singer-songwriter James Blunt and his band providing musical entertainment. Individual awards were presented by, among others, Ronaldo, Lothar Matthäus, Pelé and FIFA president Sepp Blatter side-by-side with pop singer Shakira. The day after the awards ceremony, Spanish newspaper Marca reported that none of the four captains of the Spanish women's national team had voted for the Women's World Player of the Year award. According to the list of votes published by FIFA, captain Sandra Vilanova had awarded five points to Hope Solo, three to Louisa Nécib and one to Marta. ^ "Messi crowned world's best". ESPN. 9 January 2012. Retrieved 9 January 2012. ^ a b c d e f g h i "Messi, Sawa, Guardiola and Sasaki triumph at FIFA Ballon d'Or 2011". FIFA.com. 9 January 2012. Retrieved 9 January 2012. ^ "Wayne Rooney looks starstruck as he meets Shakira dressed in dazzling red at the Fifa Ballon d'Or gala". Daily Mail. 9 January 2012. Retrieved 10 January 2012. 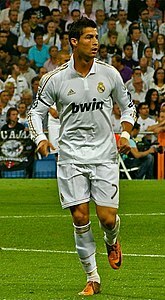 ^ a b "FIFA Ballon d'Or 2011 - voting results" (PDF). 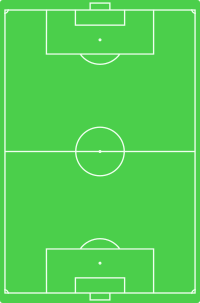 FIFA.com. Retrieved 10 January 2012.